The 9-hole City Park Nine Golf Course in Fort Collins, CO is a public golf course that opened in 1940. City Park Nine Golf Course measures 3082 yards from the longest tees and has a slope rating of 119 and a 34.1 USGA rating. The course features 2 sets of tees for different skill levels. The 18-hole Collindale Golf Course in Fort Collins, CO is a public golf course that opened in 1971. 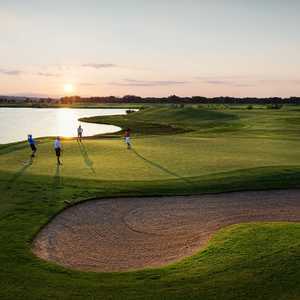 Designed by Frank Hummel, Collindale Golf Course measures 7011 yards from the longest tees and has a slope rating of 127 and a 72.3 USGA rating. The course features 4 sets of tees for different skill levels. The 18-hole Fort Collins Country Club in Fort Collins, CO is a private golf course that opened in 1960. Fort Collins Country Club measures 6924 yards from the longest tees and has a slope rating of 126 and a 72 USGA rating. The course features 4 sets of tees for different skill levels. 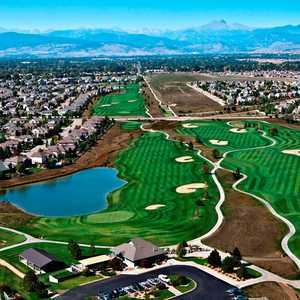 The 9-hole Mountain Vista Greens Golf Course in Fort Collins, CO is a public golf course that opened in 1992. Designed by Vic Tawara, Mountain Vista Greens Golf Course measures 3198 yards from the longest tees and has a slope rating of 118 and a 35. The 18-hole Ptarmigan Country Club in Fort Collins, CO is a semi-private golf course that opened in 1988. Designed by Jack Nicklaus, Ptarmigan Country Club measures 7201 yards from the longest tees and has a slope rating of 137 and a 73 USGA rating. The course features 4 sets of tees for different skill levels. The 18-hole SouthRidge Golf Club in Fort Collins, CO is a public golf course that opened in 1984. Designed by Frank Hummel, SouthRidge Golf Club measures 6630 yards from the longest tees and has a slope rating of 135 and a 71.5 USGA rating. The course features 5 sets of tees for different skill levels.